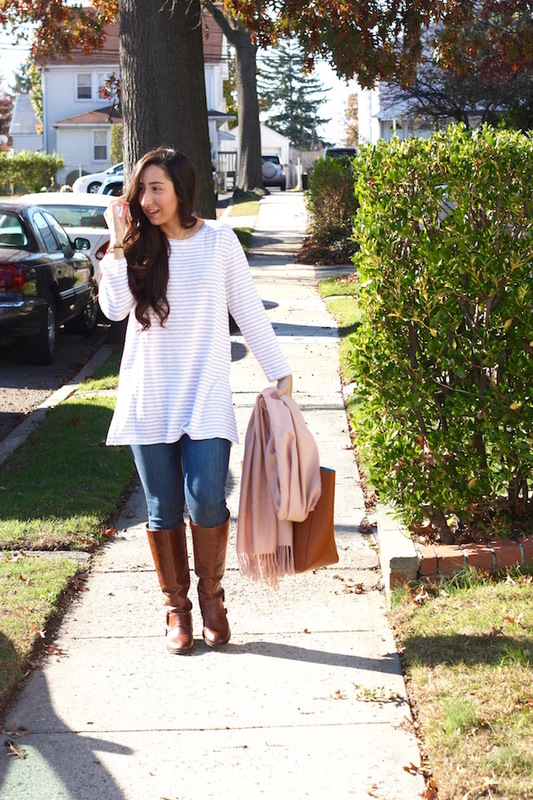 The best thing about neutral colors is that they can be worn all year round, which is why neutrals have to be my favorite things to wear. 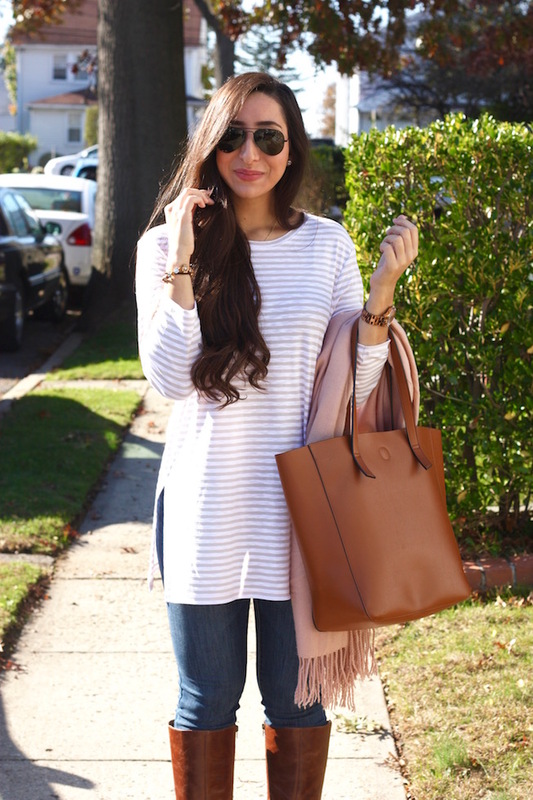 Neutrals go with everything and themselves. You never have to worry that they won’t match something! 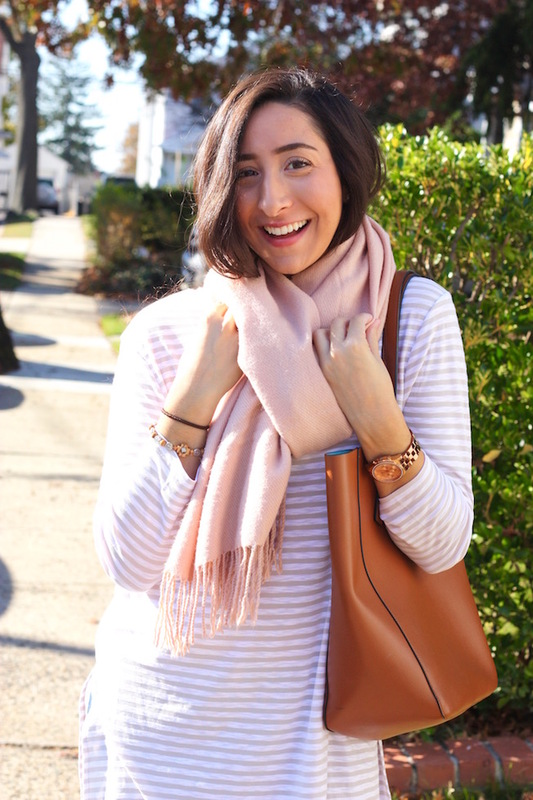 For this outfit I paired a bunch of neutral colored items like my tan boots and a blush scarf from Forever. 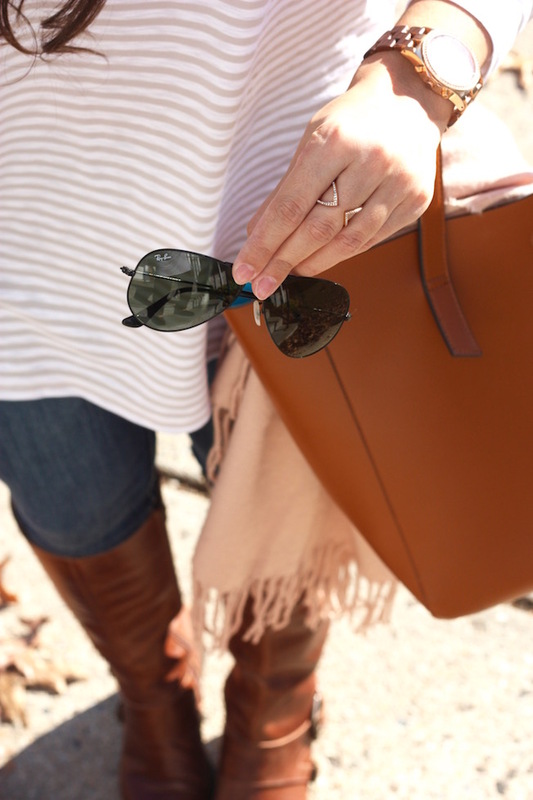 I love how effortlessly chic, light, and pretty all these colors are together! 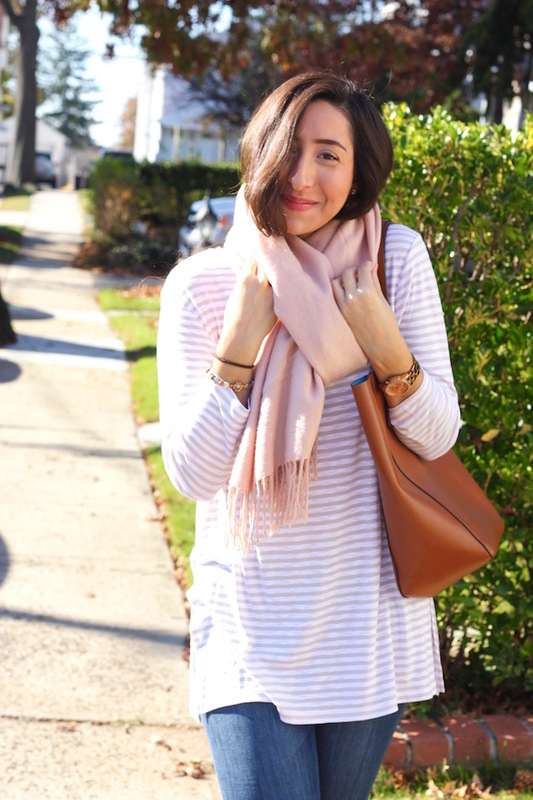 This beige and white striped tunic top from Old Navy was such a great buy. It’s so versatile and if you’ve been reading my blog for a while you know I’m all about versatility. And comfort. This top has both! You can wear it with jeans or leggings because it’s super long. It’s also light enough to layer under a sweater so that it peaks out at the bottom for an extra layered flair. 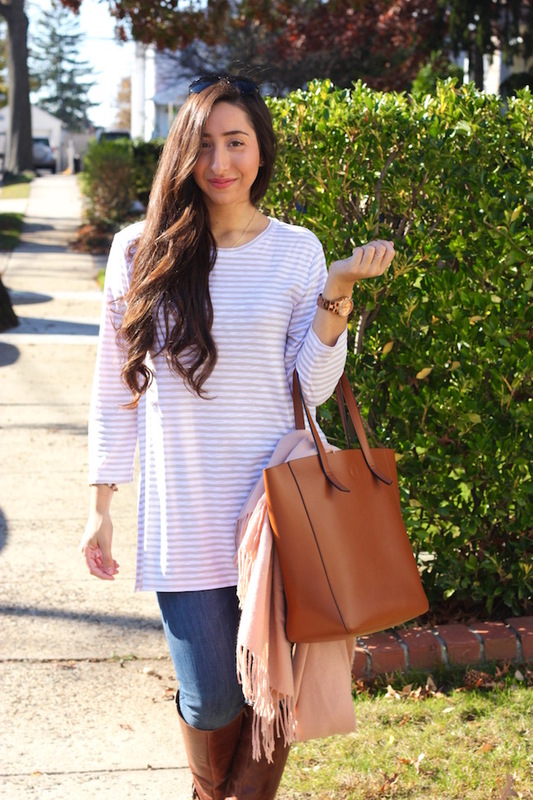 And the best part – this top is 40% off with the coupon code ‘RUSH’ and comes in other colors, too! Get the details above or below!